Forget Pinterest, we have all the nursery and bedroom inspiration you need right here at Babyology. We’ve shown you so many gorgeous real life nurseries, from frilly and fancy to contemporary cool – and of course, everything in between. 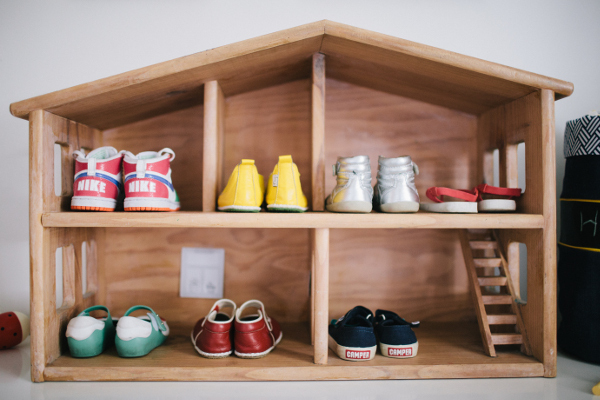 Click on through to see a recap of our favourite reader nurseries! 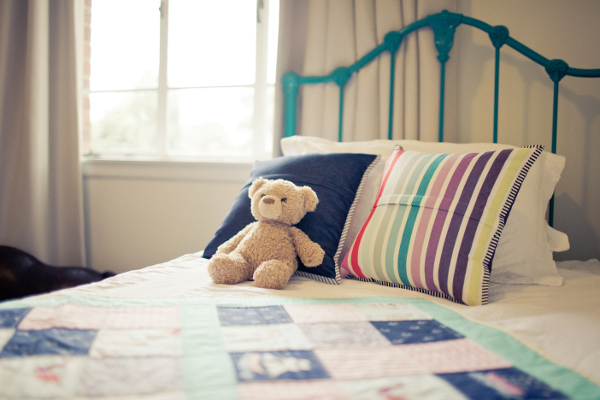 When demolition of an old home was the ultimate plan, parents of Amelie took to creating a special bedroom without a lot of expense, choosing to keep her space white and light with a beautiful teal bed for an instant pop of colour. 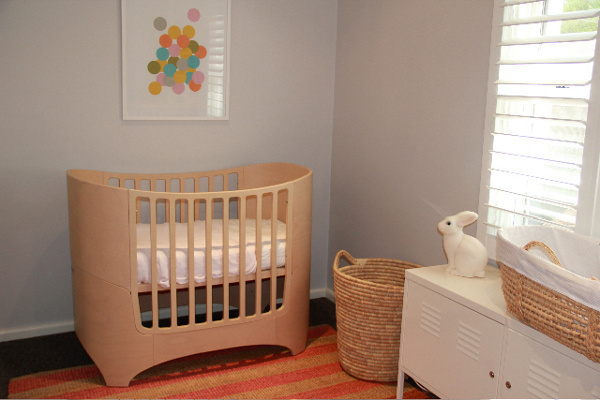 Liz didn’t let a narrow space stop her creating a beautiful nursery for her baby girl. Grey walls combined with white and oak coloured furniture, natural weave storage baskets and a moses basket, make for a stunning space for this pending arrival. 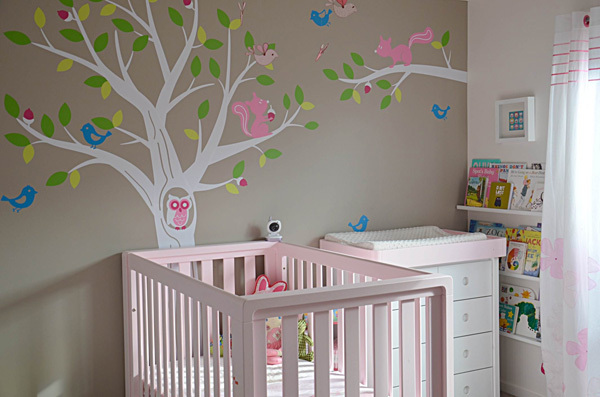 Indie‘s nursery was fit for a pink princess, complete with a cot and change table painted pink! Indie’s room is full of pretty colour and fun, with toys on double duty as both entertainment and decoration. It was a given that Jarvis would have an amazing nursery, his mama Suzi is one hip lady with an eye for all things cool. 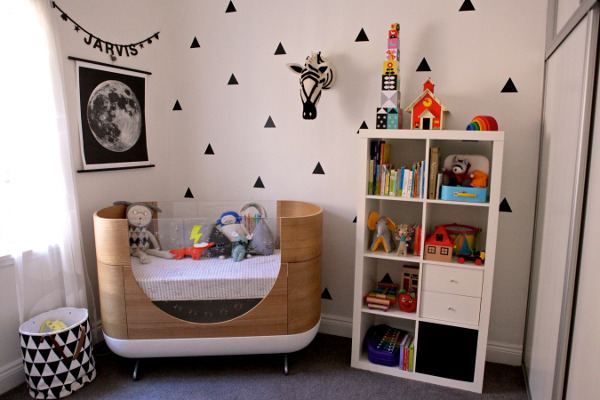 With the assistance of a Nest Design Studio room design to guide her, the ultimate monochrome cool and contemporary space was created and then dotted with bold colour in toys and accessories for Jarvis to enjoy. Take a beautiful step back into yesteryear with a stunning nursery designed especially for baby Ella. 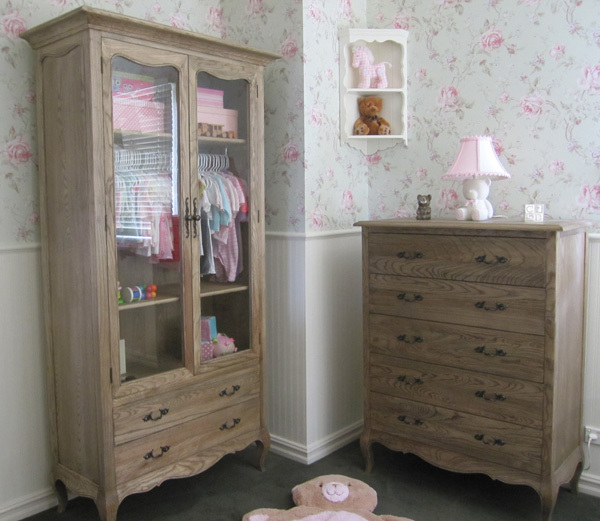 A glass front cabinet creates a gorgeous and original way to display trinkets and clothing, while floral wallpaper and white dado walls give the room instant grandeur. Space really was an issue when it came time to kit out a compact space for Erin. Luckily for Erin, her mum is an interior designer and was able to use her skill to make it work – and work it does. A gorgeous floating hammock bed combined with sunshine pouring in and a view of magical Hong Kong – you can’t go wrong with that stellar combination! 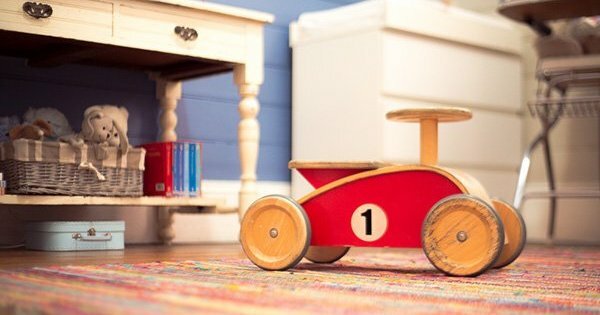 Just recently we showed you Eli‘s awesome nursery filled with vintage upcycled finds and treasured family items passed down. An eclectic approach that came together magnificently, it’s definitely worth a revisit to see how the unpredictable can work! 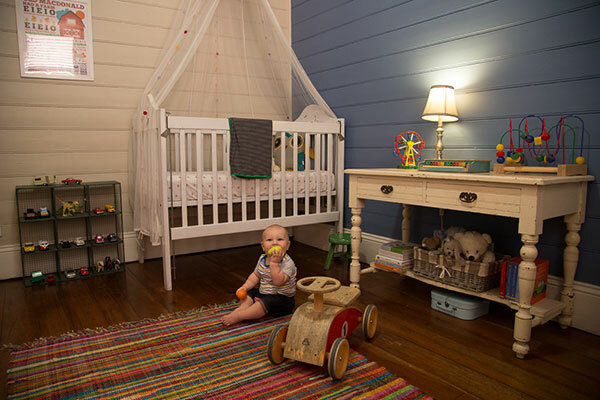 We just love seeing how our readers decorate their children’s spaces – real nurseries are just that, real nurseries – not styled for magazines or show rooms, they’re created out of love for our littlest people. You can share yours with us by submitting a Show us your nursery submission form.